Thermoplastics are polymeric materials with incredible properties. Their name derives from their main property: becoming viscous when heated and solidifying once cooled. These characteristics makes it possible to laminate and easily shape these materials. Industrial applications are endless: from the packaging to medical devices sector, without forgetting the electronics, automotive and food industries. There is no sector in which thermoplastic doesn’t have a key role. On this blog we have already seen how thermoplastics work well with laser technology. Microperforations, cutting, kiss-cutting are but a few examples of how well thermoplastics absorb the CO2 laser wavelength and offer great flexibility and high quality results. Now, thermoplastic polymers can also be used in a foamy state. Polymeric foams, or expanded polymer, are obtained by treating the polymer chemically or physically until the right shape is obtained. Expanded polystyrene, expanded polyurethane and expanded polyethylene all belong to this category of materials. 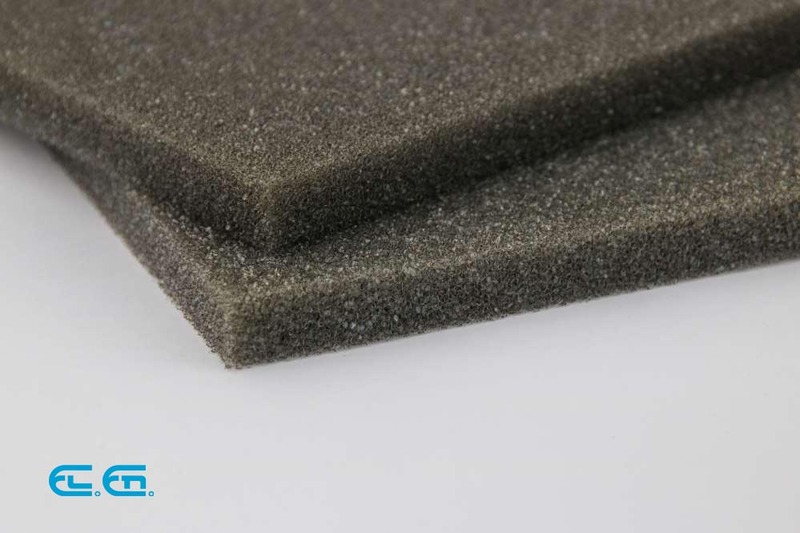 Expanded polyethylene (aka polyethylene foam) is one of the most popular foams used in the industrial sector, due to its lightness, insulating properties and resistance. This foam is ideal for laser cutting. 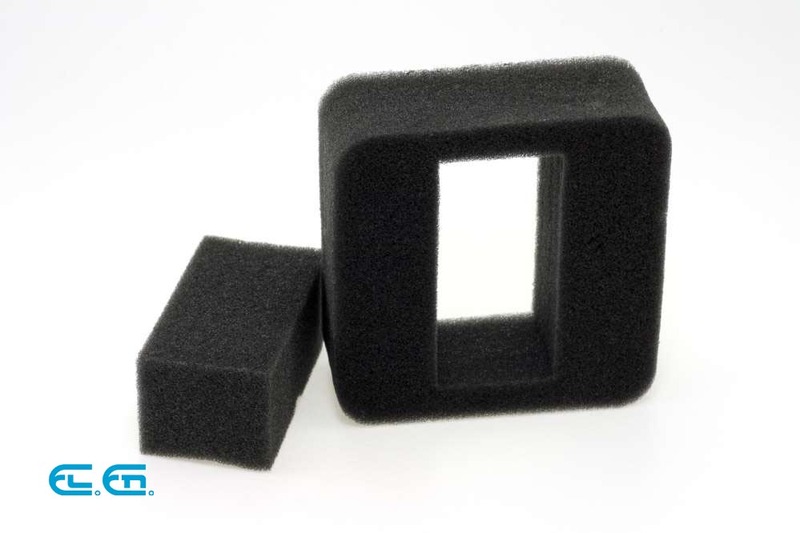 In order to cut polyethylene foam, a CO2 laser precisely and cleanly outlines the wanted shape in the polymer foam. This process is easily controlled digitally. The advantage of using laser technology is that the pieces are cut perfectly, down to the last millimeter and in a well defined shape. It is therefore ideal for highly detailed work. An example of what co2 laser can do is tool shadowing. Basically it means cutting a layer of foam with cut outs of different sizes for each tool in your tool box. 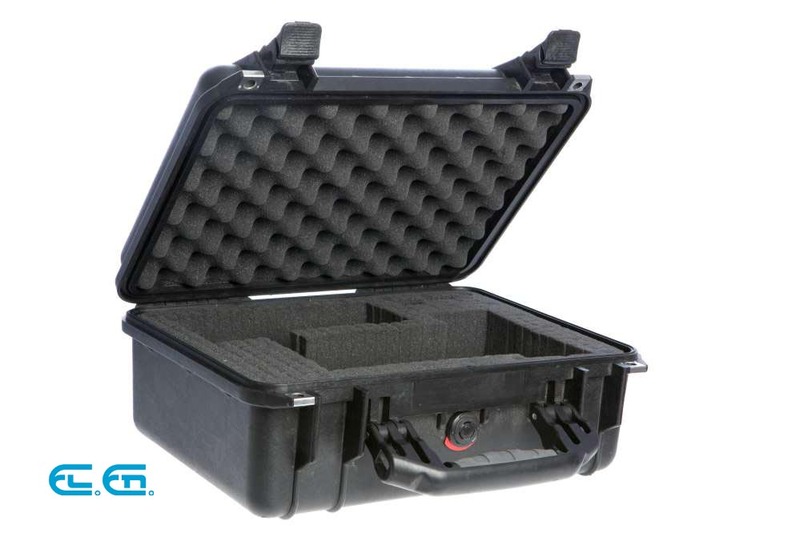 The tool will be perfectly kept still and safe inside the toolbox. Making this application using only mechanically tools is very difficult if not impossible, because the expanded polyethylene sheet would have to be pinned down in order to cut out the shapes without ruining the material. This method works only if the shapes have straight lines. As soon as the lines are curvier or more detailed, it becomes difficult to trace the objects outline perfectly. Laser technology makes it easy to cut polyethylene foam in the right size and shape. All you need to do is create a CAD file with the shapes to cut out. The file is then transferred to the software making it possible for even the most complicated of shapes to be created.